Hotel Cartesiano Puebla is a 4.5* resort located in Puebla, Mexico. It features 78 rooms and swimming pools. 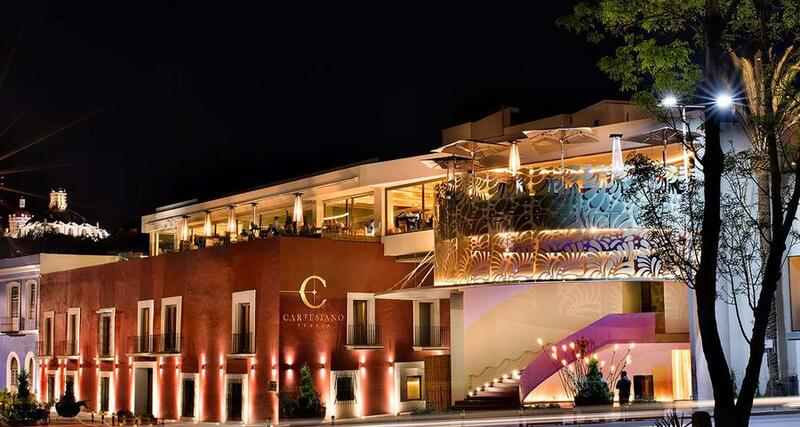 Hotel Cartesiano Puebla is an elegant property located in the historic downtown of Puebla. It offers a luxurious environment and modern facilities, along with a restaurant, a coffee place with an indoor patio, event rooms and an outdoor swimming pool. This hotel also features finely-decorated guestrooms with a coffee maker, double sinks, a rainfall shower and excellent amenities, including a smart TV and more.